My country of birth, Hungary, is rapidly deteriorating into the kind of surreal place more familiar to fans of Terry Gilliam films. Take the following letter that was sent, among other places, to all hospitals (hospitals!) in Hungary. This is my translation; I tried to be as literal as possible but of course bureaucratese is not an easy language to master. In accordance with the text of paragraph 9 of Government Decree 1061/2012. (III.12.) about the duties and the regulations needed to carry out priority duties in the National Equestrian Program, to facilitate unified asset management goals, the affected ministers must provide recommendations for the creation of a national equestrian sector registry. Even in these days, significant assets are present in the equestrian sector. Assignment to accepted strategy is an essential condition for responsible asset management in this sector. A first step in this direction is to create a sectoral state asset inventory. This requires a full survey and census, based on unified criteria, of all state asset elements related to the equestrian sector (real estate, land, related fixed assets, movable assets, horses, immaterial goods, etc. ), a determination of asset values, and on the basis of this, the creation of an asset register (inventory) that forms the basis of asset management. 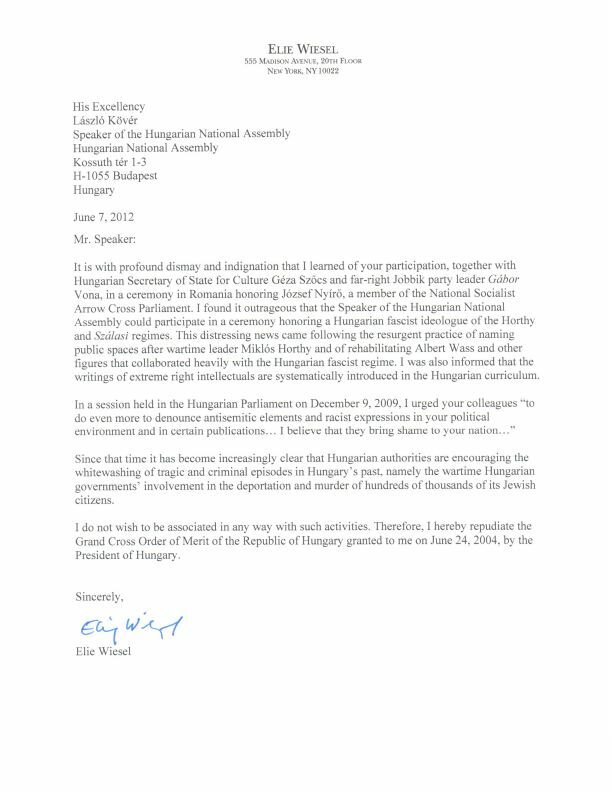 please return your responses to the e-mail address ildiko.batri@****.gov.hu. I bring to the attention of intermediate managing agencies with respect to institutions under their management that they should arrange for the collection of the data and its timely submission. Signed and sealed, of course, with a very official-looking stamp. 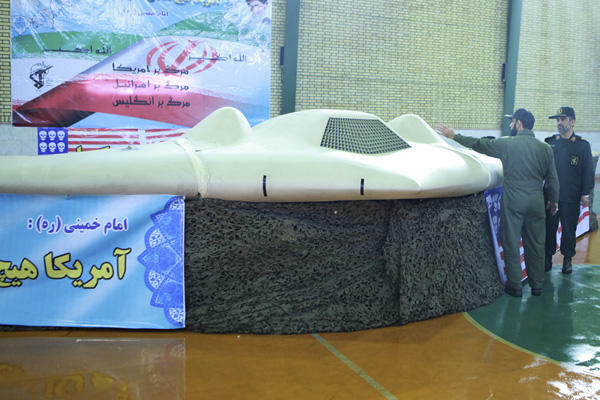 Last year, many people debated whether or not the Iranians had the wherewithal to hijack that US military drone which they were so proudly displaying afterwards. Well, wonder no more. Apparently a team from the University of Texas at Austin showed how it can be done using equipment that cost no more than a thousand bucks. That 125 GeV peak at the LHC: a hadronic resonance? My blog is supposed to be (mostly) about physics. So let me write something about physics for a change. John Moffat, with whom I have been collaborating (mostly on his modified gravity theory, MOG) for the past six years or so, has many ideas. Recently, he was wondering: could the celebrated 125 GeV (125 gigaelectronvolts divided the speed of light squared, to be precise, which is about about 134 times the mass of a hydrogen atom) peak observed last year at the LHC (and if rumors are to be believed, perhaps to be confirmed next week) be a sign of something other than the Higgs particle? All popular accounts emphasize the role of the Higgs particle in making particles massive. This is a bit misleading. For one thing, the Higgs mechanism is directly responsible for the masses of only some particles (the vector bosons); for another, even this part of the mechanism requires that, in addition to the Higgs particle, we also presume the existence of a potential field (the famous “Mexican hat” potential) that is responsible for spontaneous symmetry breaking. Higgs mechanism aside though, the Standard Model of particle physics needs the Higgs particle. Without the Higgs, the Standard Model is not renormalizable; its predictions diverge into meaningless infinities. The Higgs particle solves this problem by “eating up” the last misbehaving bits of the Standard Model that cannot be eliminated by other means. The theory is then complete: although it remains unreconciled with gravity, it successfully unites the other three forces and all known particles into a unified (albeit somewhat messy) whole. The theory’s predictions are fully in accordance with data that include laboratory experiments as well as astrophysical observations. Well, almost. There is still this pesky business with neutrinos. Neutrinos in the Standard Model are massless. 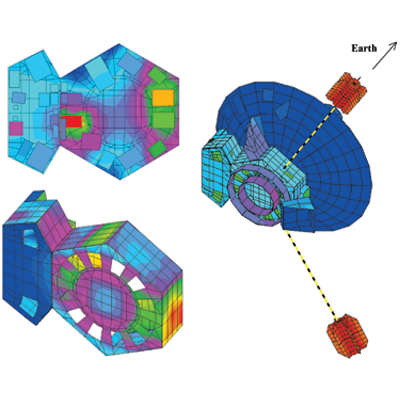 Since the 1980s, however, we had strong reasons to suspect that neutrinos have mass. The reason is the “solar neutrino problem”, a discrepancy between the predicted and observed number of neutrinos originating from the inner core of the Sun. This problem is resolved if different types of neutrinos can turn into one another, since the detectors in question could only “see” electron neutrinos. This “neutrino flavor mixing” or “neutrino oscillation” can occur if neutrinos have mass, represented by a mass matrix that is not completely diagonal. What’s wrong with introducing such a matrix, one might ask? Two things. First, this matrix necessarily contains dimensionless quantities that are very small. While there is no a priori reason to reject them, dimensionless numbers in a theory that are orders of magnitude bigger or smaller than 1 are always suspect. But the second problem is perhaps the bigger one: massive neutrinos make the Standard Model non-renormalizable again. This can only be resolved by either exotic mechanisms or the introduction of new elementary particles. This challenge to the Standard Model perhaps makes the finding of the Higgs particle less imperative. Far from turning a nearly flawless theory into a perfect one, it only addresses some problems in an otherwise still flawed, incomplete theory. Conversely, not finding the Higgs particle is less devastating: it does invalidate a theory that would have been perfect otherwise, it simply prompts us to look for solutions elsewhere. In light of that, one may wish to take a second look at the observations reported at the LHC last fall. The Higgs particle, if it exists, can decay in several ways. We already know that the Higgs particle cannot be heavier than 130 GeV, and this excludes certain forms of decay. One of the decays that remains is the decay into a quark and its antiparticle that, in turn, decay into two photons. Photons are easy to observe, but there is a catch: when the LHC collides large numbers of protons with one another at high energies, a huge number of photons are created as a background. It is against this background that two-photon events with a signature specific to the Higgs particle must be observed. 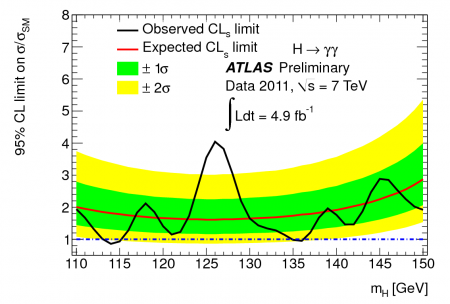 Diphoton results from the Atlas detector at the LHC, late 2011. And observed they have been, albeit not with a resounding statistical significance. There is a small excess of such two-photon events indicating a possible Higgs mass of 125 GeV. Many believe that this is because there is indeed a Higgs particle with this mass, and its discovery will be confirmed with the necessary statistical certainty once more data are collected. Others remain skeptical. For one thing, that 125 GeV peak is not the only peak in the data. For another, it is a peak that is a tad more pronounced than what the Higgs particle would produce. Furthermore, there is no corresponding peak in other “channels” that would correspond to other forms of decay of the Higgs particle. This is when Moffat’s idea comes in. John had in mind the many “hadronic resonances”, all sorts of combinations of quarks that appear at lower energies, some of which still befuddle particle physicists. What if, he asks, this 125 GeV peak is due to just another such resonance? Easier said than done. At low energies, there are plenty of quarks to choose from and combine. But 125 GeV is not a very convenient energy from this perspective. The heaviest quark, the top quark has a mass of 173 GeV or so; far too heavy for this purpose. The next quark in terms of mass, the bottom quark, is much too light at around 4.5 Gev. There is no obvious way to combine a reasonably small number of quarks into a 125 GeV composite particle that sticks around long enough for it to be detected. Indeed, the top quark is so heavy that “toponium”, a hypothetical combination of a top quark and its antiparticle, is believed to be undetectable; it decays so rapidly, it really never has time to form in the first place. But then, there is another possibility. Remember how neutrinos oscillate between different states? Well, composite particles can do that, too. And as to what these “eigenstates” are, that really depends on the measurement. One notorious example is the neutral kaon (also known as the neutral K meson). It has one eigenstate with respect to the strong interaction, but two quite different eigenstates with respect to the weak interaction. So here is John’s perhaps not so outlandish proposal: what if there is a form of quarkonium whose eigenstates are toponium (not observed) and bottomonium with respect to some interactions, but two different mixed states with respect to whatever interaction is responsible for the 125 GeV resonance observed by the LHC? Such an eigenstate requires a mixing angle, easily calculated as 20 degrees. This mixing also results in another eigenstate, at 330 GeV, which is likely so heavy that it is not stable enough to be observed. This proposal, if valid, would explain why the LHC sees a resonance at 125 GeV without a Higgs particle. Indeed, this proposal can also explain a) why the peak is stronger than what one would predict for the Higgs particle, b) why no other Higgs-specific decay modes were observed, and perhaps most intriguingly, c) why there are additional peaks in the data! That is because if there is a “ground state”, there are also excited states, the same way a hydrogen atom (to use a more commonplace example) has a ground state and excited states with its lone electron in higher energy orbits. These excited states would show up in the plots as additional resonances, usually closely bunched together, with decreasing magnitude. Could John be right? I certainly like his proposal, though I am not exactly the unbiased observer, since I did contribute a little to its development through numerous discussions. In any case, we will know a little more next week. An announcement from the LHC is expected on July 4. It is going to be interesting. Alas, Minitel is no more. After 30 years of operation, France Telecom will shut down the venerable service this Saturday. While the proprietary, closed architecture of Minitel never caught on outside of France, this “made in France” solution reached nearly half the inhabitants of France in its heyday. 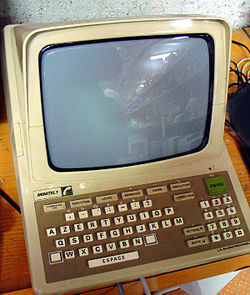 Today, Minitel is largely irrelevant thanks to the Internet (this is what doomed other closed architecture commercial online services, such as CompuServe.) Still, if The New York Times is to be believed, at least some farmers are going to miss this reliable service. The first American president who made a serious effort to introduce universal health care was Teddy Roosevelt, almost exactly 100 years ago. 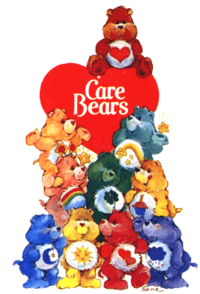 Teddy Roosevelt is of course also famous for the eponymous bear. And now we have ObamaCare, upheld by the United States Supreme Court in a surprise decision, with conservative justice Roberts being the “swing vote”. I was watching CNN this morning. 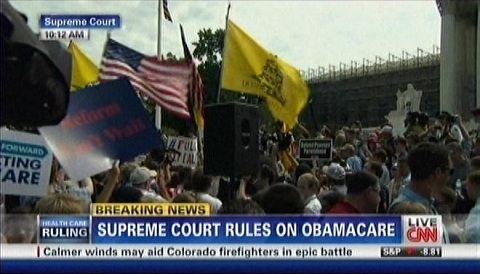 At around 10:08 AM, they announced that the United States Supreme Court struck down the key “individual mandate” provision of Obama’s health care reform law. A few minutes later, it dawned on them that the justices’ comments relating to the Commerce Clause were not the end of the story. They still weren’t sure of themselves but they corrected the headline. 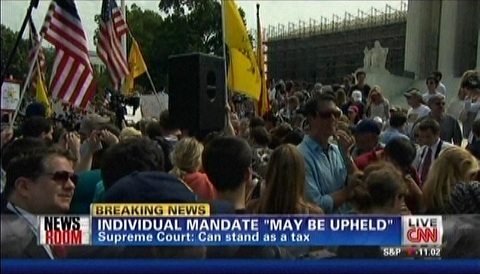 Finally, after an additional several minutes, it became clear: the law has been upheld. I am reading a note written by a certain Alan C. Kay at the Xerox Palo Alto Research Center. The reason why I consider these words so remarkable is the publication date. Kay’s note was published in the Proceedings of the ACM National Conference, Boston… in August 1972. Parliament passed Bill C-11 Monday evening. That means that we are one Senate approval away from having a law in Canada that criminalizes acts such as watching a foreign DVD (even one with expired copyright!) using region-free software. I am really ticked off about this. So much so that I am contemplating doing just that: breaking the law every day by watching a Hungarian DVD or ripping a DVD to my hard drive, and announce publicly what I have done. But then… life is too short. There are more important things to be outraged about. And realistically, this government knows fully well that the letter of this law is unenforceable; that in reality, nothing has changed insofar as our daily lives are concerned, except that there is now one more law on the books under which all of us can be treated as criminals at the pleasure of the Powers That Be. Just what Ayn Rand warned us about. Elie Wiesel is a well known Holocaust survivor and Nobel laureate. Wiesel was also a recipient of the Grand Cross Order of Merit of the Republic of Hungary. Not anymore. He decided to repudiate the order. This is his means to protest the participation of László Kövér, Speaker of the Hungarian National Assembly, in a ceremony in Romania honoring the author József Nyirő, a member of Hungary’s national socialist Arrow Cross parliament in 1944-45. Elie Wiesel had enough and I can’t blame him. Just as Canada is about to enact its most Draconian copyright law yet (yes, simply watching a foreign DVD using region-free software will make you a criminal) there are signs that the software gaming industry is finally seeing the light. Reportedly Marcin Iwinski, one of the founders of CD Projekt, known for their best selling Witcher game franchise, declared that “we will never use any DRM anymore”. The reason? Witcher 2 was cracked within two hours of its release. Perhaps that in itself is not particularly surprising, but consider this: this game was simultaneously released DRM-free on GOG.COM. But it was the DRM retail version that was cracked in two hours! “What really surprised me is that the pirates didn’t use the GOG version, which was not protected. They took the SecuROM retail version, cracked it,” said Iwinski. The reality is that DRM only inconveniences legitimate law-abiding customers. You pay for the game, you get a copy crippled with a software component that might break your computer. You download the cracked version from a “warez” site, you get a DRM-free copy. What, pray tell, is the VALUE a legitimate customer gets in exchange for paying good money? Our latest Pioneer paper, in which we discuss the results from the Pioneer thermal model and its incorporation into the orbital analysis (the conclusion being that no significant anomalous acceleration remains once thermal radiation is properly accounted for) made it to the cover of Physical Review Letters. I am very grateful that I was given the opportunity to participate in this research, and I am very proud of this work and our results. 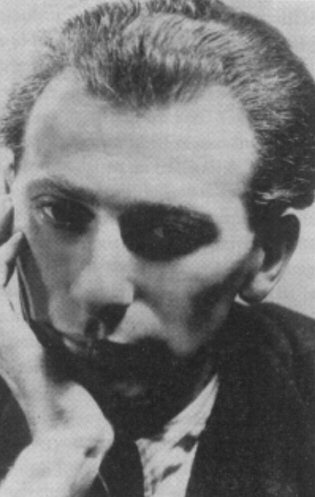 One of Hungary’s greatest poets in the 20th century was Miklós Radnóti. As a Jew, he was conscripted into a forced labor batallion during WW2. He was tragically murdered in late 1944. The sad part? Nyirő is again celebrated in Hungary. As a matter of fact, the mayor of the Csepel district of Budapest is organizing a literary evening tomorrow night, dedicated to the writings of Nyirő. To be held… wait for it… in the Miklós Radnóti cultural center. I can only think of one word to describe this: Disgusting. This graphic was sent to me by its creator with an obvious viral marketing intent; but since it is both funny and informative, I said what the heck, why not? In any case, I just love that photograph of Ballmer on which he looks like a mad 1930s dictator from some wacky computer game (Zork Nemesis comes to mind). 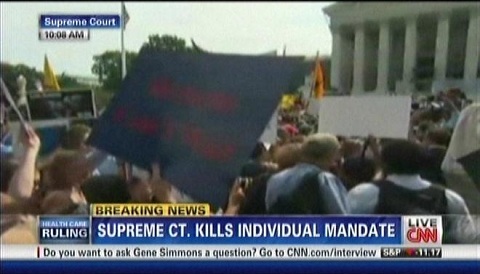 CNN this afternoon asked viewers what they thought of this. The replies they read on air were unanimous: celebrities should not get preferential treatment. And that, of course, in addition to being just bat crap crazy, also demonstrates what is so wrong with Americans lately. First, this “a rule is a rule is a rule” mentality. It’s as if Americans have become the Germans of the 21st century! Then, completely missing the point about common sense, opting for petty vindictiveness instead. The TSA is not there to “treat” you or anyone else but to filter out potential terrorists. (Now as to whether or not they can actually carry out that task is a topic for another day.) Why on Earth should they be patting down someone who is very well known to them and extremely unlikely to be a threat? All this once again leaves me wondering who these people south of the border are and what they’ve done with the real Americans I used to know and admire. The fun never ends. 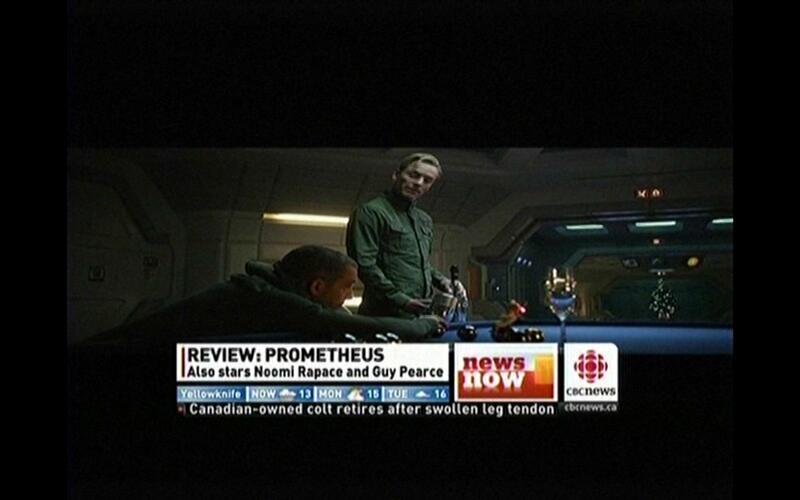 Here are a few recent screen captures from CBC Newsworld, illustrating how originally widescreen material is letterboxed to a standard definition frame, which is then letterboxed into a widescreen frame, which is then letterboxed into a standard definition frame, which then appears on a widescreen monitor… welcome to the era of postage stamp television images. My favorite is the second one, the screen shot from Prometheus… for some inexplicable reason, they actually further compressed vertically (or stretched horizontally?) an already widescreen image. Of course marketers knew what they were doing. They knew that most people cannot tell the difference between a resolution of, say, 640×480 vs. 1024×768. 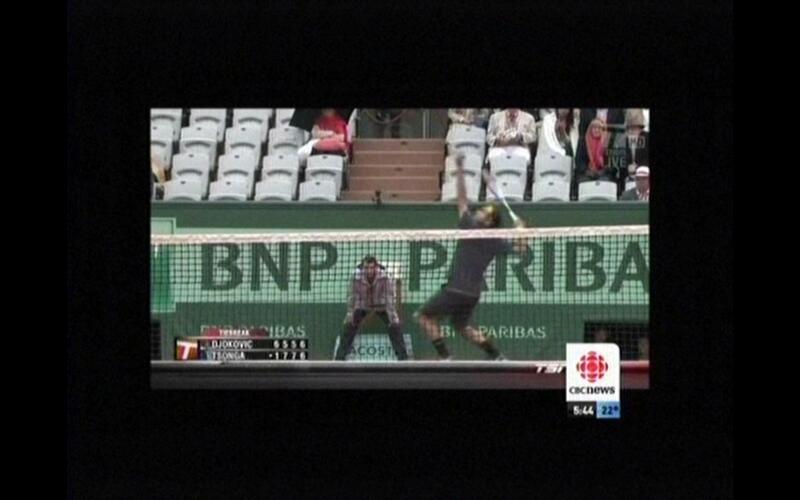 So they changed the aspect ratio. And of course they aren’t describing the result as being reduced in height, stunted perhaps; they tell you that it is wider. Wider is good, right? The author of the Martian Chronicles, Fahrenheit 451 and many other classics is no more; Ray Bradbury died today at the age of 91. Maybe one day his ashes will be taken to Mars, where they really belong. 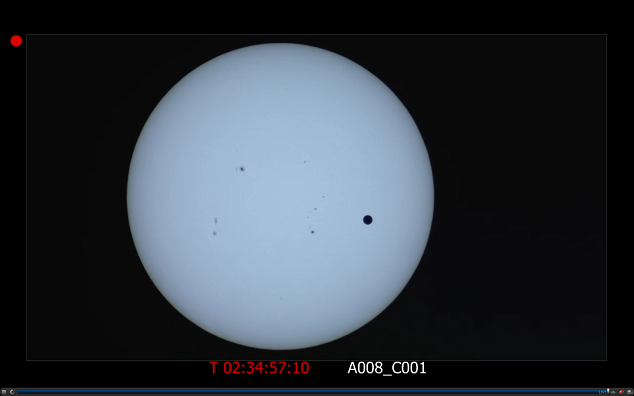 Yesterday, Venus transited the Sun. It won’t happen again for more than a century. I had paper “welder’s glasses” courtesy of Sky News. Looking through them, I did indeed see a tiny black speck on the disk of the Sun. However, it was nowhere as impressive as the pictures taken through professional telescopes. I also tried to take pictures myself, holding my set of paper welder’s glasses in front of my (decidedly non-professional) cameras. Surprisingly, it was with my cell phone that I was able to take the best picture, but it did not even come close in resolution to what would have been required to see Venus. The lesson? I think I’ll leave astrophotography to the professionals. Or, at least, to expert amateurs. Unfortunately, I am neither. That said, I remain utterly fascinated by the experience of staring at a sphere of gas, close to a million and a half kilometers wide, containing 2 nonillion (2,000,000,000,000,000,000,000,000,000,000) kilograms of mostly hydrogen gas, burning roughly 580 billion kilograms of it every second in the form of nuclear fusion deep in its core, releasing photons amounting to about 4.3 billion kilograms of energy… and most of these photons remain trapped for a very long time, producing extreme pressures (so that the interior of the Sun is dominated by this ultrarelativistic photon gas) that prevent the Sun from collapsing upon itself, which will indeed be its fate when it can no longer sustain hydrogen fusion in its core a few billion years from now. And then, this huge orb is briefly occulted by a tiny black speck, the shadow of a world as big as our own… just a tiny black dot, too small for my handheld cameras to see. I sometimes try to use a human-scale analogy when trying to explain to friends just how mind-bogglingly big the solar system is. Imagine a beach ball that is a meter wide. Now suppose you stand about a hundred meters away from it, like the length of a large sports field. Okay… now imagine that that beach ball is so bleeping hot, even at this distance its heat is burning your face. That’s how hot the Sun is. Now hold up a large pea, about a centimeter in size. That’s the Earth. Another pea, roughly halfway between you and the beach ball would be Venus. A peppercorn, some thirty centimeters or so from your Earth pea… that’s the Moon. Incidentally, if you hold that peppercorn up, at about thirty centimeters from your eye it is just large enough to obscure the beach ball in the distance, producing a solar eclipse. Now let’s go a little further. 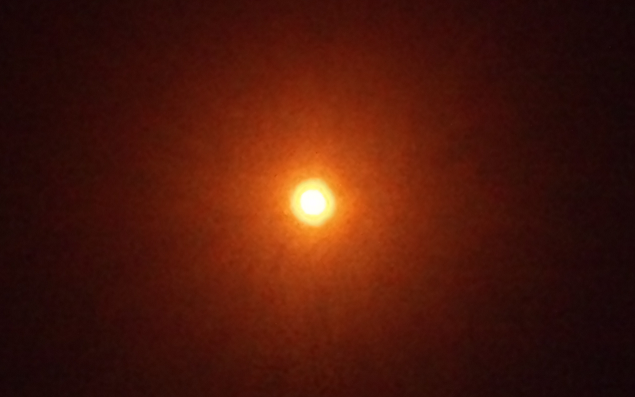 Some half a kilometer from the beach ball you see a large-ish orange… Jupiter. Twice as far, you see a smaller orange with a ribbon around it; that’s Saturn. Pluto would be another peppercorn, more than three kilometers away. But your beach ball’s influence does not end there. There will be specks of dust in orbit around it as far out as several hundred kilometers, maybe more. So where would the next beach ball be, representing the nearest star? Well, here’s the problem… the surface of the Earth is just not large enough, because the next beach ball would be more than 20,000 kilometers away. To represent other stars, not to mention the whole of the Milky Way, we would once again need astronomical distance scales. If a star like our Sun was a one meter wide beach ball, the Milky Way of beech balls would be larger than the orbit of the Earth around the Sun. And the nearest full-size galaxy, Andromeda, would need to be located in distant parts of the solar system, far beyond the orbits of planets. The only way we could reduce galaxies and groups of galaxies to a scale that humans can comprehend is by making stars and planets microscopic. So whereas the size of the solar system can perhaps be grasped by my beach ball and pea analogy, it is simply impossible to imagine simultaneously just how large the Milky Way is, not to mention the entire visible universe. As part of the Queen’s diamond jubilee celebrations, the British did something that hasn’t been done in 350 years: a 1000-boat pageant on the river Thames. 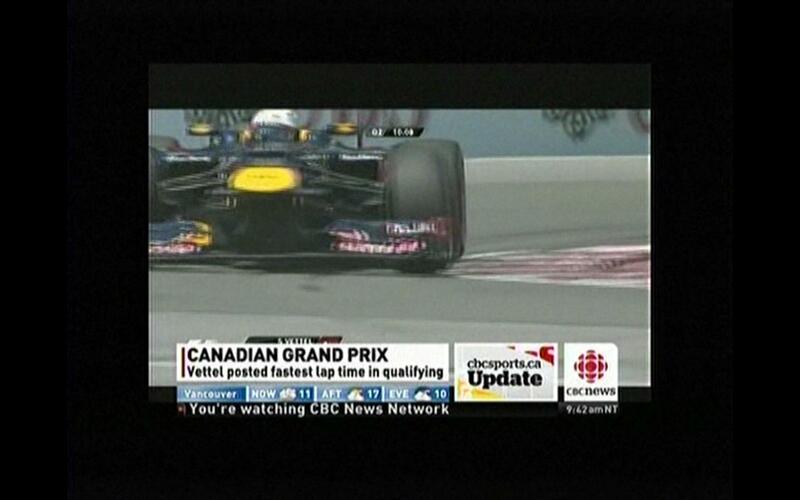 Being the loyalist royalist, I was watching (parts of) it on television. 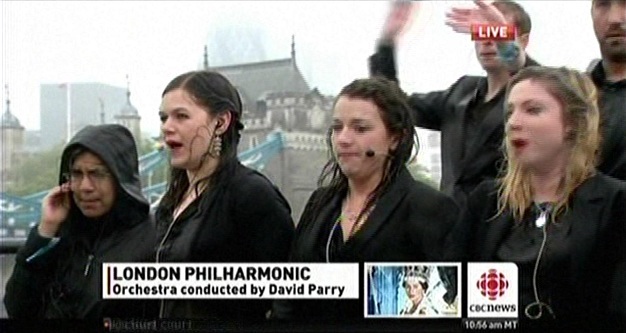 As I did so, I couldn’t help noticing just how soaking wet the choir was on top of the boat carrying the London Philharmonic. Their spirit was undaunted, though, and they sang beautifully and professionally. I hope none of them caught pneumonia.